Four Fire Safety vision panels, contemporary flush, sleek styling. 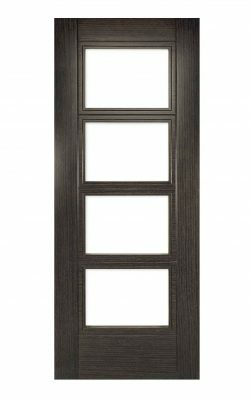 Available as a Fire Door (45mm) version, a standard door, and UNGLAZED Fire Door version and as a Glazed model. Also available in Light Ash veneer.